A regular trip to a farmers market is one of the best ways to connect with where your food comes from. Meeting and talking to farmers and food artisans is a great opportunity to learn more about how and where food is produced. CUESA’s seller profiles that hang at the booths give you even more opportunities to learn about the people who work hard to bring you the most delicious and nutritious food around. Profiles, articles about sellers, and a map of farms are also available on this website. Few grocery store cashiers or produce stockers will give you tips on how to cook the ingredients you buy, but farmers, ranchers, and artisans at the farmers market are often passionate cooks with plenty of free advice about how to cook the foods they are selling. You can also attend free seasonal cooking demonstrations by leading Bay Area chefs and evening classes on food preservation and other kitchen skills. Wouldn’t you rather stroll amidst outdoor stalls of fresh produce on a sunny day than roll your cart around a grocery store with artificial lights and piped in music? 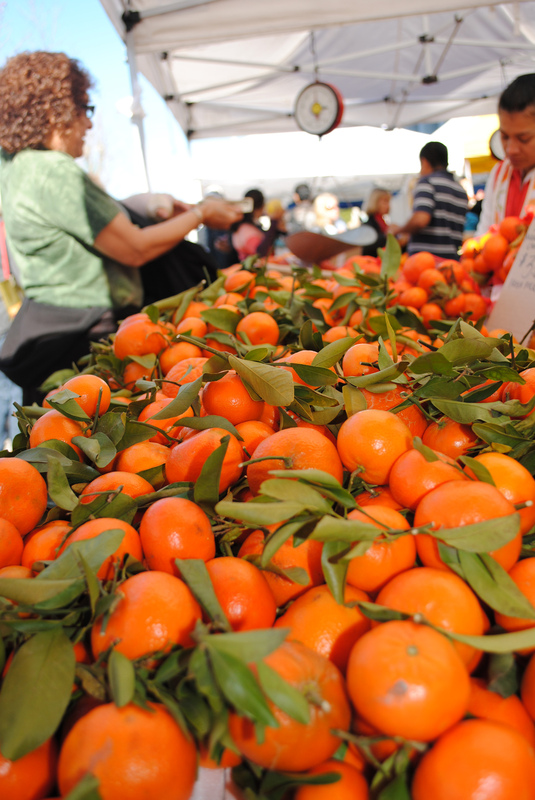 Coming to the farmers market makes shopping a pleasure rather than a chore. The farmers market is a community hub—a place to meet up with your friends, bring your children, or just get a taste of small-town life in the midst of our wonderful big city.